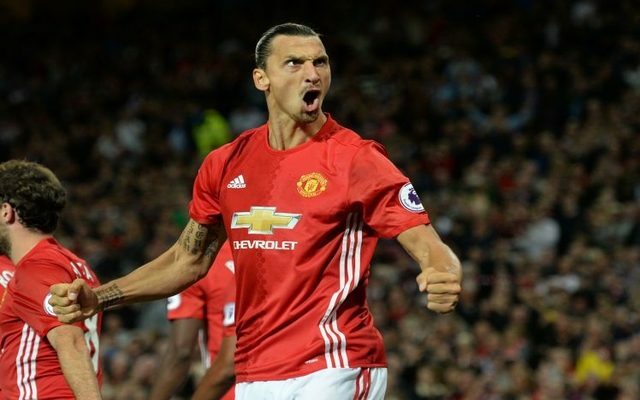 Zlatan Ibrahimovic has bagged his second goal of the game to double Manchester United’s advantage over Saint-Etienne. Tonight’s game was labelled the clash of the Pogba’s, with Paul and Florentin going head-to-head for the first time in their professional careers. However, it’s Ibrahimovic who has stolen the show. After his goal in the first-half, the big Swede was hungry for more. After some good work from Marcus Rashford down the left-hand-side, the ball fell to Ibrahimovic in the penalty area. You know the rest.